Ever dreamt of living in Tropical North Queensland? 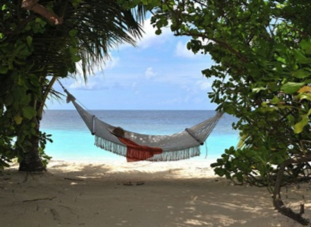 Where, on weekends you can swing in a hammock, sip from a fresh coconut and enjoy beautiful weather? Or go chasing waterfalls in the tropical rainforest? Cairns is less than an hour to the north and Townsville three hours south. 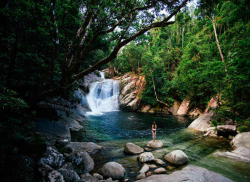 If you are a keen fisherman or want to scuba dive, the Great Barrier Reef is only a short boat ride away and the beautiful Atherton Tablelands is an hour’s drive ‘up the hill’. 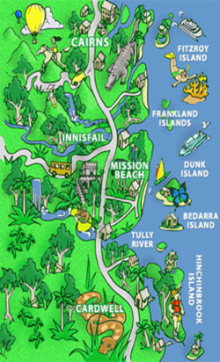 Tropical Vets Innisfail are looking for an enthusiastic new vet to join our team, starting now. Preferably full time or locum, experienced or new graduate vets all welcome to apply. We have an excellent team of friendly and experienced nurses. We are well equipped with IDEXX machines, multiparameter anaesthetic machines, digital radiograph equipment and a portable ultrasound. We have a strong focus on continuing education and offer a supportive mentor program for new graduate vets. We have clinics located in multiple locations in North Queensland with a wide support network of vets and nurses always available to call. We strive to achieve a healthy work-life balance. We offer well above the award wage and our after-hours payments are very generous. We love learning from and teaching challenging cases however we have the option to refer those things we just can’t sort out to nearby specialists. 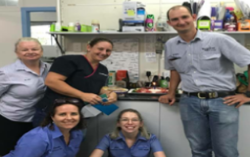 Amongst our staff we have a lot of vets with special interests – Avian, Equine Repro & Dental, Small Animal Dermatology, Orthopaedics, Cattle Repro, Wildlife and Exotics just to name a few. Tropical Vet Services is excited to introduce our Graduate Program to 5th year vet students. Our Graduate program offers new and recent graduates an awesome opportunity to delve into your career as a mixed-animal rural veterinarian working closely with a dedicated mentor and supported by a team of experienced vets and nurses. From July 2019, we will be accepting applications for several Graduate positions – for each of our main clinics (start dates are negotiable).